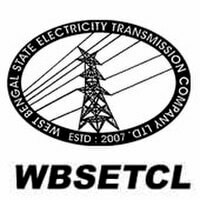 WBSETCL Recruitment – West Bengal State Electricity Transmission Co. Ltd (WBSETCL) Job notification announced for the post of Assistant Engineer, Assistant Manager, Junior Executive, Special Technical Assistant, Executive Assistant (renamed as Stenographer), Office Executive and Linesman. 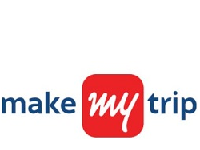 The detailed eligibility and application process are given in below. B. Sc (H) in Physics with 3years B. Tech in Electrical Engineering from a recognized University / Institute approved by AICTE / IITs. B. Sc (H) in Physics/Electronics with 3years B.Tech Degree in Radio Physics & Electronics from recognized University / Institute approved by AICTE / IITs. 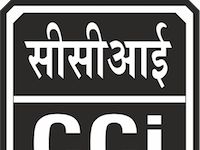 Full time 4 years‟ B.E/ B. Tech/ B. Sc (Engineering) Degree in Civil Engineering or Construction Engineering from recognized University/Institute approved by AICTE / IITs. MBA (2 years‟ full time) with major specialization in Finance from a recognized University / reputed Institute duly approved by AICTE / IIMs / XLRI / IITB Schools. Graduate in any discipline from a “UGC” recognized university with Inter CA/ICWA/1 (one) year PG Diploma in Finance & Accounts or any higher Qualification in Finance & Accounts with duration at least one year from any University recognized by UGC/Institute approved by AICTE. Selection of candidates for all posts will be made on the basis of the performance of the eligible candidates in the Online Test (100 Marks) and Personal Interview (25 Marks). Selected candidates must also qualify in the Pre-employment Medical Examination as per prescribed rules of the Company. Mode of Payment: Online mode through Debit Card / Credit Card / Net Banking. How to apply for WBSETCL Recruitment 2019? All interested and eligible candidates apply for this position in online latest by 24 January 2019. 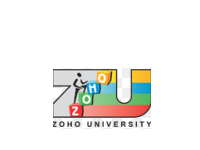 Special Technical Assistant: Full time 3 years’ Diploma in Electronics and TeleCommunication/ Radio/Wireless Engineering from an Institute recognized duly by W.B. State Council of Tech. Education. Executive Assistant (Steno): Passed Graduation with 40% marks and proficiency in English language with minimum speed of 80 words per minute in shorthand. Proficiency in operation of MS Office. Must have passed certificate course / any other courses on computer from the Institute of DOEACC Society or West Bengal State Council of Technical Education or Others. Linesman: Madhyamik or equivalent plus Trade Certificate under NCVT from any ITI under Director of Industrial Training, Govt. of West Bengal in the trade (2 years’ duration): Wireman or Electrician. Selection of candidates for all posts will be made on the basis of the performance of the eligible candidates in the Written Test, Computer Proficiency Test (CPT)/Stenography Test (where applicable) and Personal Interview. Application Fee: Rs.250/- (No fee for SC/ ST/ PWD candidates). All interested and eligible candidates apply for this position in online latest by 11 January 2019.